If you've ever been to the city of Seattle and looked off into the distance on a nice day, you have undoubtedly seen a glimpse of Mount Rainier on the southern horizon rising like a champ from beyond the city. What you cannot see when looking at it from that vantage point is the ancient Douglas fir, cedar, and western Hemlock forests at the base of the mountain where a diverse biological ecosystem thrives; or the major rivers (there are six) created by the enormous glaciated stratovolcano; or the sub-alpine meadows bursting with colorful blooms of wildflowers; or the wild kingdom of animals that live there. They are there, though, as they have been for millennia. To the city-goer, Mount Rainier wears one face as a prized local legend; to the adventure set, Mount Rainier National Park is an otherworld located just two hours driving from downtown Seattle. There are endless ways to explore it--backpacking, hiking, mountaineering, skiing, snowshoeing, cycling, rafting, paddling, car-camping, wildlife watching, photographing the landscapes--the sky is a limit effected only by the time of year that you choose to visit and what your personal interests are. For this project, we wanted to take it easy and go camping with some friends in an insanely beautiful place that has been home to us both at various times in life. 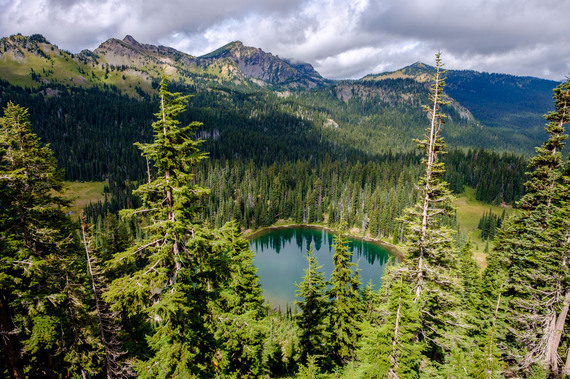 This article focuses in on the different areas within the park, where to camp, awesome landmarks not to miss, as well as some basic information about the namesake of Washington's favorite national park--we'll lead with that. About Mt. Rainier: Mount Rainier is the most glaciated peak in the lower 48 standing 14,410 feet above sea level. Despite its name, it is not a mountain, but an active volcano. Those who've grown up in western Washington have long been cautioned that Rainier could erupt and devastate the Emerald City in its entirety at any given time... to locals, it is a guardian and a foe looming larger than life over the city. To explore it, you can go soft and head off into the extensive trail networks in the lowland forests; go big and hike the 93-mile Wonderland Trail that circumnavigates the sub-alpine and high mountain; or go really big and summit Rainier the way national park hero and conservationist John Muir did more than 100 years ago... or, you can simply admire its beauty from the forest floor. 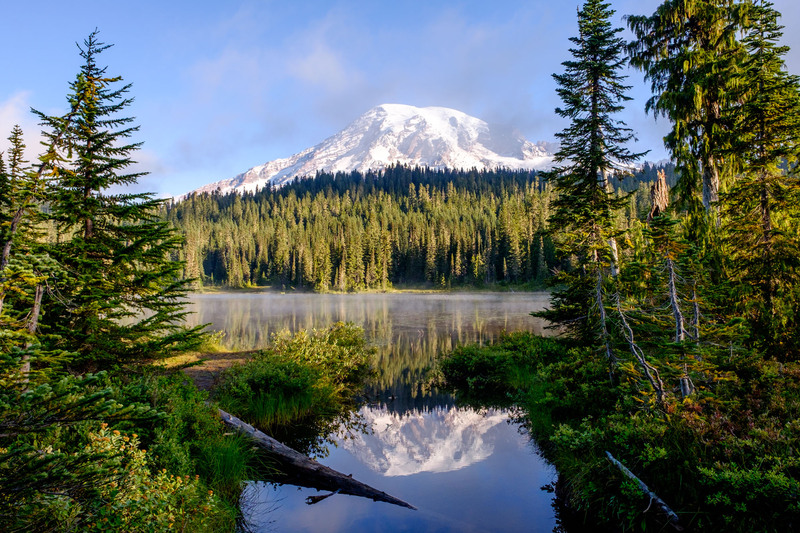 5 areas in the park to explore: The heart and soul of the park is the high peak of Mount Rainier. Once you know where that is--smack in the middle of protected parkland--you can more easily start to navigate the areas surrounding it. Longmire (southwest) - The Longmire area, born of James Longmire's homestead and mineral springs resort, served as central headquarters for the park during its early years at the beginning of the 20th century; today, it is a small designated national historic district that preserves the cultural history of the park. It is located in the southwest corner near the Nisqually entrance. Paradise (southwest) - Year after year, this remains the most popular section of the park because it is easy to access and also because of the sheer volume of things to experience in the area including waterfalls, gorgeous displays of wildflowers during peak season, access to hiking trails, visitor centers, an epic scenic driving road, and the ever so popular campground at Cougar Rock. This is also the main access point for many winter activities as well, and from where to start the Wonderland Trail hike and a summit of Rainier. Ohanapecosh (southeast) - This area on the southeast side of the park is home to the ancient, supernatural-seeming old-growth forests that the Evergreen State is known for. It is drier and sunnier on this side of the park than it is on the more popular Paradise side, so if you run into marine weather, hop in the car and head east! There is excellent camping located by the visitor center in Ohanapecosh as well, but only during summer--this side of the park including its east-facing entrance is closed during winter months. Sunrise (northeast) - Located at 6,400 feet of elevation, Sunrise is the highest point in the park that can be driven to. Positioned on the north side of the mountain (60 miles northeast of the Nisqually entrance) visitors find wide open vistas, sub-alpine passes, valleys and meadows, and panoramic views of the dramatic Cascade Mountain Range--and on a clear day and with a little luck, views of Mt. Rainier and Mt. Adams. 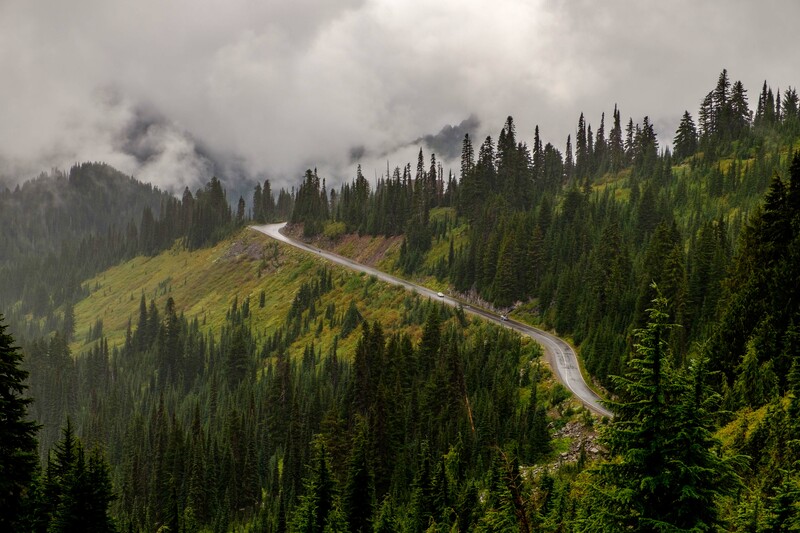 Carbon/Mowich (northwest) - This area located northwest of Mount Rainier is the least visited section in the national park due to limited access via road aside of the temperate summer months. There are upsides to this of course, such as peaceful surroundings and unspoiled nature. Carbon is known for its temperate rainforests and Earthly coal deposits; Mowich for a glacial basin surrounded by meadows that burst with wildflowers each year. It is vital to check the park road status before making plans to visit this area as closures are common. There is excellent camping at three established campgrounds in the park. 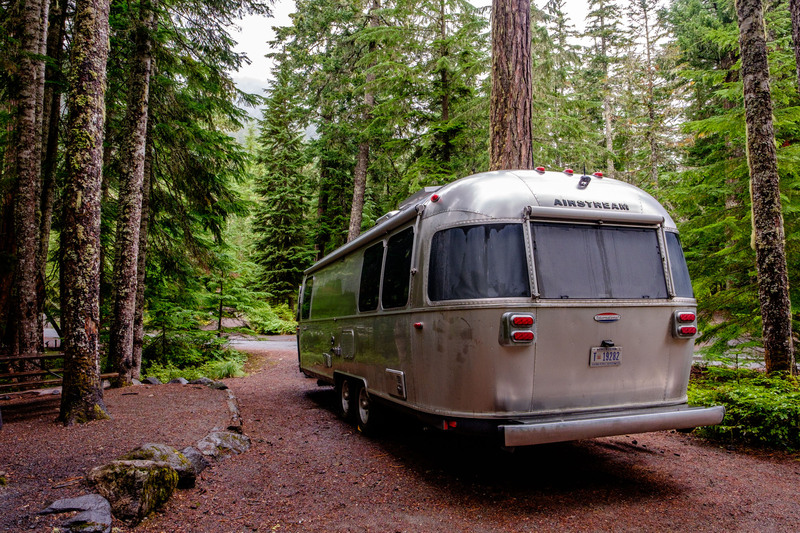 We opted to stay at the most popular, the Cougar Rock campground (3,100 feet), because of its convenient location in Paradise and awesome laid-back vibe. Campsites are suitable for tent camping as well as boondocking (for those with travel trailers/RVs) and most have plenty of space to set up multiple tents. The sites are pretty basic--flat forest floor, parking, a picnic table, and fire ring. What sets this area apart is that is has easy hiking trails starting right in the campground that lead to the Nisqually River; an amphitheater where park rangers give nightly talks and hold special events for junior rangers and younger kiddos/junior rangers-in-training; and best of all are the scenic surroundings that showcase evergreen trees for days. All three campgrounds are open during summer only. 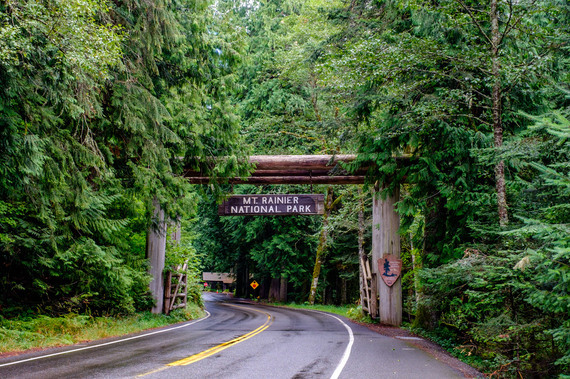 Entering through the historic national park gate at the Nisqually entrance on the southwest side of the park, you are greeted by a wall of evergreen trees that enfold you the entire way up the paved Nisqually-Paradise Road to where the largest visitor center in the park is located. 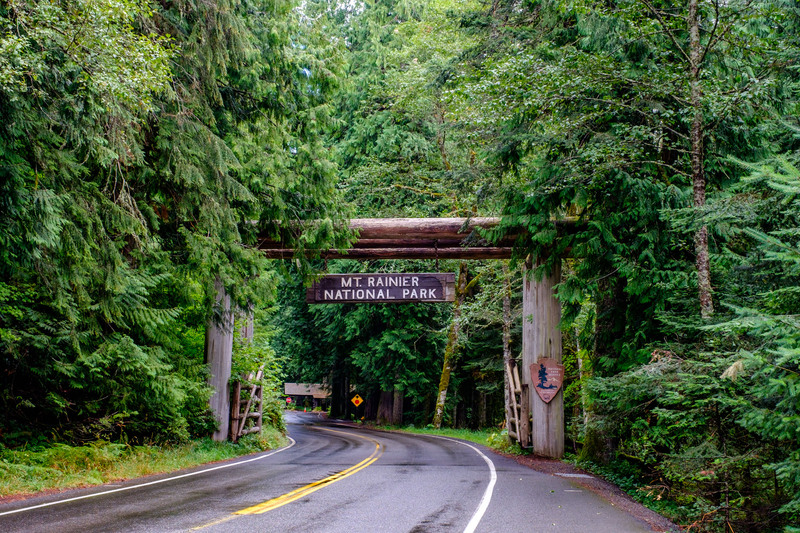 The historic Jackson Paradise Visitor Center was part of the Mission 66 program, for which Mount Rainier National Park served as a pilot location to test the viability of expanding and improving visitor services inside of the national parks. At the time, the restaurant, museum, ski rental shop, and warming hut that were developed there were cutting edge, as was the deviation from rustic park architecture favoring a more modern design. Today, the newly constructed visitor center (the original was demolished in 2008) is without a doubt one of the most beautiful visitor centers in any of the U.S. national parks, with views overlooking the Cascades as well as a park store, cafe, auditorium, and plenty of exhibits designed to teach visitors about the the past, present, and future of the park. 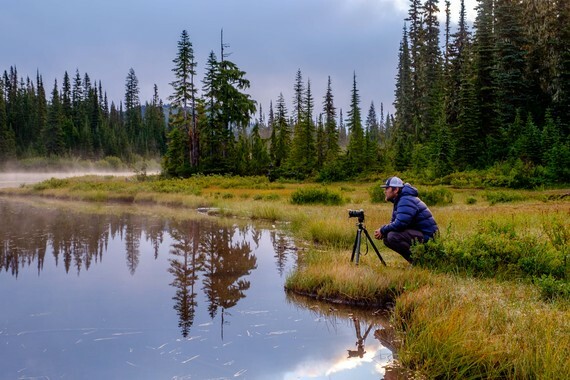 This series of sub-alpine lakes is where some of the most celebrated photographs of Mount Rainier are created. Walking portions of the 5-mile loop trail or even just standing aside the lake, you will get a clear view of the enormous volcanic peak on a clear day, and a shift in perspective with every step as the intense Rainier weather system breathes fog, mist, and clouds in and out of the scene. This is an incredibly peaceful place to explore, hike, and just be. 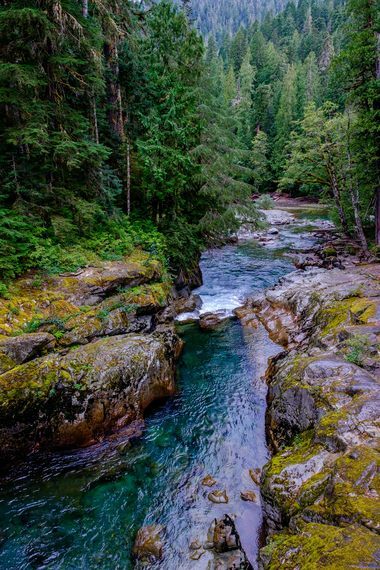 If you are looking for more of a challenge, you can push on along the trail to a rocky bluff where you can see clear view of the Tatoosh Range, and later, the Paradise River. Christine Falls (Paradise) - Christine Falls and the Christine Falls Bridge that frames it in view is as iconic as it is accessible, located down a short set of stairs from Nisqually-Paradise Road. There are a few different views, the one from eye level being the most classic to photograph. This is your first waterfall stop after entering the Nisqually entrance and is well worth taking a moment to breath in the the clean, misted mountain air. 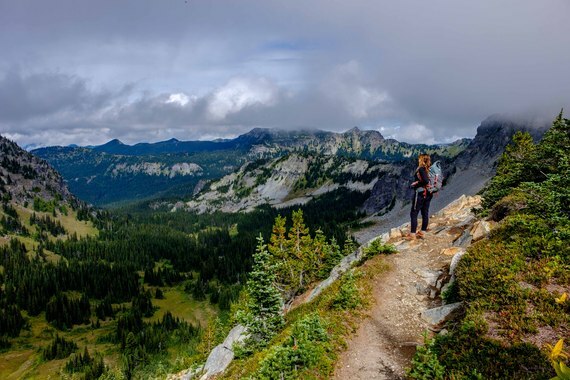 Skyline Trail (Paradise) - This 5.5 mile trail gains 1,700 feet of elevation and is one of the most popular trails in the park as it allows up-close-and-personal views of Mount Rainier and Oregon's Mount Hood, the Nisqually Glacier, and vast meadows and panoramic vistas. This area is also teeming with wildlife--best seen if you walk softly and allow the wilderness to show itself to you. 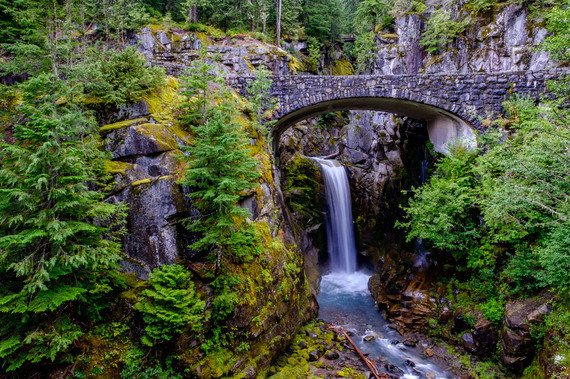 Narada Falls (Paradise) - Easy access down a short paved platform to this roaring two-tiered, 176-foot waterfall makes it one of the most popular places in all of Mount Rainier National Park. The scene is spectacular, and there is area to explore more... traveling farther down a short, wet, and incidentally slippery path, you'll reach the bottom of the falls to meet a glorious view when looking skyward. Sourdough Ridge Trail to Frozen Lake (Sunrise) - Just north of the Sunrise Visitor Center parking area is this 3-mile loop trail that climbs 500 feet in elevation along vast expanses that overlook alpine lakes and valleys shrouded in various hues of technicolor green. On clear days, views of Mount Rainier, Mount Baker, and Mount Adams can all be seen in the distance. One of the coolest things about this trail is that is a member of a larger network of trails, so you can extend and/or alter your hike as you wish and explore higher and farther if you are prepared for it with adequate food, water, and clothing. Grove of the Patriarchs (Ohanapecosh) - In the drier and sunnier eastern side of the park is a beautiful 1.5-mile loop trail meandering 1000-year-old trees in an old growth forest comprised of western red cedar and Douglas fir trees. As you wander the perfectly groomed and very popular trail, you will find yourself at a short, low suspension bridge crossing the Ohanapecosh River to a river bank--a really cool place to capture photos--before continuing on into the ancient forest. 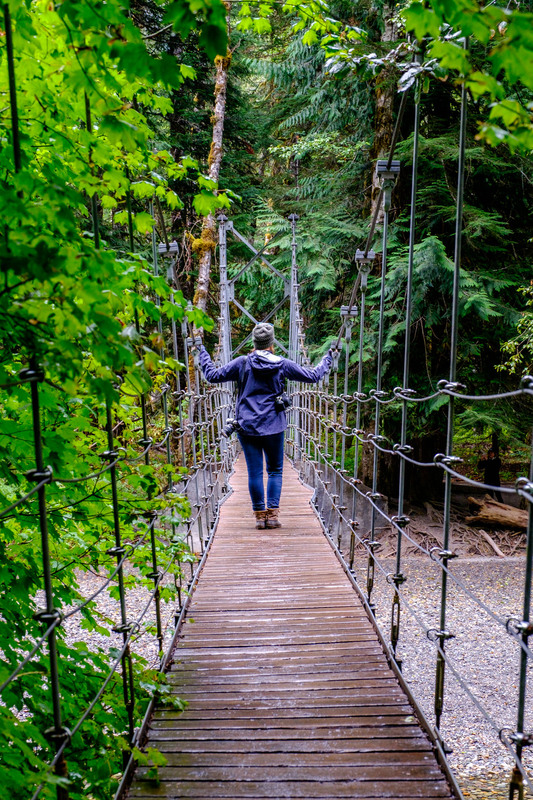 This trail is a favorite for families, tree huggers, and those eager to experience Washington state's most natural old-world charm.